Food Photography | Ipoh Mali Talak Sombong! I myself is constantly experimenting on the food photographing techniques, therefore sometimes you might find that my pictures quality are different from post to post (might look good on one post and turned out blurred and dark in another post). 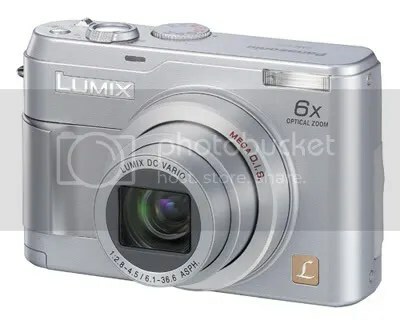 I have been using a compact digital camera since March 2007, the Panasonic Lumix DMC LZ2. My Lumix comes in 5 mega-pixels, 6x optical zoom and mega optical image stabilizer – any beginner’s level compact camera available in the market nowadays beats the Lumix LZ2 in every aspects. 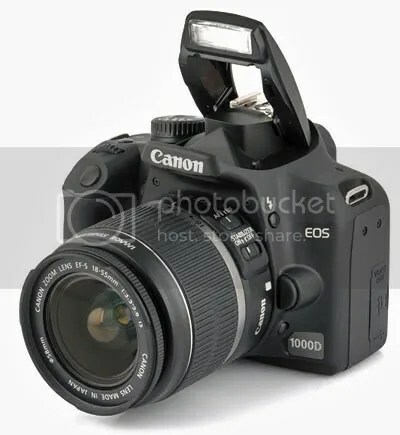 And beginning August 2010, I have the Canon EOS 1000D joining my photography arsenal, woohoo! If you like to learn more about food photography and equipments, Goldfries gives you some real good tips to begin with. Until then, happy eating! I just chance upon your blog today and I am impressed by your photography. You claimed that you use a Panasonic Lumix DMC-LZ2 but by the double shadows on some of your photos, I suspect that you must have some external lighting devices. If not you must have God’s favour with multiple lightings. Being a “thum chia” I am going through the food blogs of Malaysia so that I know where to eat whenever I visit Malaysia. The good photographs you take add to the excitement of the food. I however struggle to understand why some of the dishes reviews may be bad, but photos are still nice. I guess it is better than some blogs with all photos blur. One thing I dislike is to see some of the blogs with useless photographs like close-up of fork and spoons or up to 5 photos of the same broccoli taken from different angles. I am also amazed how most fool bloggers, you included, can afford to order so many dishes, desserts or types of drinks just to photograph them. Paying for them is one thing but to consume all of them – wow! Hi there, thanks for dropping by and for the compliment. Yeah, I only uses my LZ2 for all the photos in this blog. For your information, I do not use any external lighting devices (well, spotlight or lighting on top of the dining table doesn’t count!). Nowadays, I try my best to shoot the subject next to a bright and natural lighting source such as by the window, which most of the time, will create shadows like you saw. Like most people say, don’t judge a book by its cover. The same can be applied to food too. Some food maybe be presented in a fancy and interesting way but bland and vice versa. Whatever the reasons, I see food presentation as a form of art that doesn’t last long or fragile, hence I would do my best to capture it. The myriad of food we food bloggers had in one post definitely are shared among us (if there was a gathering among the bloggers or taken while dining out with family or friends), I don’t think any single bloggers can finish all the items alone! Thanks again for visiting and do drop by again. i stumbled upon your site as i was just doing a google search on asian gourmet hut. totally love the food images! compliments to the photographer as i’ve found it’s not easy taking pictures of food and lighting is always the biggest challenge to give justice to the dishes. oh and yes i’ve enjoyed reading the blog as well. thanks for sharing!